To download this interview right click HERE and select ‘save link as’. Have you ever uttered the words or had the thought “I wish I could find good people” or “why don’t my people care as much as me”? These can be symptoms of a lack of connection with the purpose of your business …. What??? Yes it can be a little intangible and is on the ‘fluffy’ side of business, but the truth is, as humans we crave connection. Yes even you. And if your team doesn’t feel a connection to the work they are doing, their sense of care will be greatly diminished. 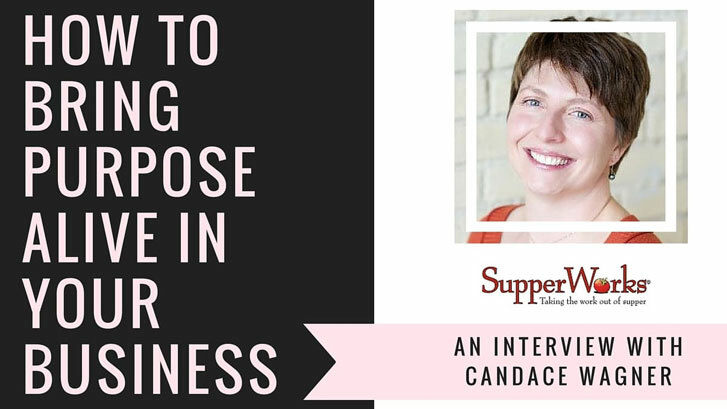 In this interview, Candace Wagner shares how she has brought her business purpose alive in a multitude of ways. Enjoy!